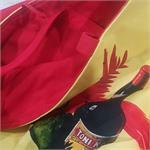 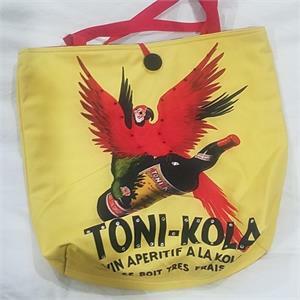 This delicious reversible cloth tote bag features vintage French advertising for Toni-Kola Vin Aperitif a La Kola, circa 1925. 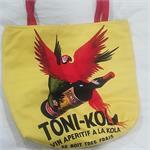 Lined in red cotton and adorned with sequins. You'll be the coolest one at the grocery store every time!